As this is the time of year when families consider giving gifts as tokens of appreciation and gratitude, we’d like to make sure all families are aware of the District’s Board Policy regarding gifts and honoraria. Specifically, that Board members, employees, officials of the District, and members of their immediate family cannot accept gift cards, gift certificates, or money. Accepting these items could potentially create conflicts of interest for educators and students. Instead, if you’d like to give a gift of some sort, please consider donating to a school club/program, donating to your school’s library, donating to your child’s classroom wish list, or donating your time volunteering in your child’s classroom. Please note: the policy does not prohibit District employees from receiving non-monetary gifts from or on behalf of students or groups of students for special occasions such as holidays, retirement, end of sessions, or periods of illness, provided the gift is not given to influence the employee’s judgment in professional or official matters, but rather is given as a token of appreciation. 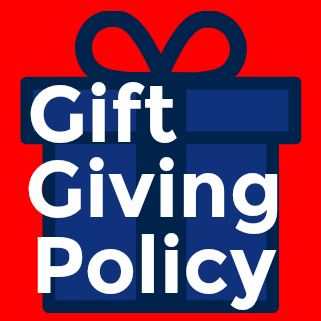 A “gift” for purposes of this policy shall include anything of value in return for which legal consideration of equal or greater value is not given. gifts other than food, beverages, travel and lodging received by an employee which are received from a person who is a citizen of a country other than the United States and is given during a ceremonial presentation or as a result of a custom of the other country and is of personal value only to the recipient. actual registration costs for informational meetings or sessions which assist the Board member, official, or employee in the performance of the person’s official functions. The costs of food, drink, lodging, and travel are not “registration costs” under this paragraph. Meetings or sessions which the Board member, official, or employee attends for personal or professional licensing purposes are not “informational meetings or sessions” under this paragraph. An “honorarium” for purposes of this policy means anything of value that is accepted by, or on behalf of, a Board member, official or employee of the District, as consideration for an appearance, speech, or article. a payment made to the Board member, official, or employee for services rendered as part of the Board member’s, official’s or employee’s private business, trade or profession if the payment is commensurate with the actual services rendered and is not made because of the person’s status as a public official or public employee but, rather, because of the Board member’s, official’s or employee’s special expertise or other qualifications. This policy shall not prohibit District employees from receiving non-monetary gifts from or on behalf of students or groups of students for special occasions such as holidays, retirement, end of sessions, or periods of illness, provided the gift is not given to influence the employee’s judgment in professional or official matters, but rather is given as a token of appreciation. No employee shall accept a monetary gift from or on behalf of a student or group of students. It shall be the policy of the District to encourage students and their parents to donate an item for the District or for a classroom or activity in lieu of donating gifts personally to an employee. 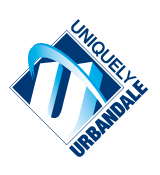 It is the intent of the Board that District officials and employees be extremely cautious and circumspect about accepting any gratuity, favor, or gift. The acceptance of personal benefits raises suspicions that tend to undermine public trust.